Professional and quiet, The Anchorage is a full service property, making it the ideal choice for holidays, weekend breaks, corporate stopovers and longer stays in Mount Maunganui. 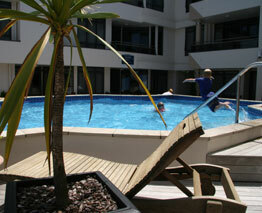 Each and every apartment in at The Anchorage, Mount Maunganui is fully self-contained. Enjoy the convenience of a fully equipped kitchen, with a full-size fridge / freezer, microwave and a full range of ports, pans, plates, utensils and cooking implements. You’ll also love the practicality of your own in-room clothes washer and dryer. 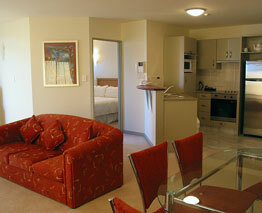 One Bedroom, Two Bedroom and Studio Apartments are available. Security is assured at our luxury Mount Maunganui apartments, with secure (free) underground car parking and bike racks. You’ll find that our central Mount Maunganui location reduces the need for a car during your stay with us, meaning a safe place to secure your vehicle is paramount.